Electric bikes are amazing pieces of technology. They are lightweight, environmentally friendly and above all, easy to use. Who wouldn’t want such a machine for weekend exercises or travels to the workplace? It is interesting that some people detest the electric bike. They say it is a machine for the lazy. Unlike popular belief, electric bikes are not equal to smaller motorcycles. They have pedals just like the normal bicycle. An electric motor is only added as a pedal-assist component. This segment of the market is growing at a steady pace, with top rated electric bikes hitting the stores every so often. Don’t you think you should order one of these exciting bikes at shop.gearscoot.com? We think you should because of the following reasons. Most cities around the globe are grappling with congested transportation. Sometimes the public transport drivers strike and there is nothing you can do. If you forget to load your transit card, the pain is the same. Take control of your movement with one of the top rated electric bikes. No more jostling for space in the crowded bus. You also forget about all the irritating perfumes. Few scenarios can be worse than walking late into a staff meeting with sweaty clothes. When you have a motor doing all the work for you, your commute is as sweat free as you can imagine. Climbs become effortless. You will appreciate this most during those harsh summer days. You don’t have to carry a set of clothes to change when you get to the office. You cycle when you want and if it becomes more strenuous than you wish, you can cruise. So you still burn some calories. Maybe you are saying that you could use the car instead. A car comes with a number of hidden costs, which you may not have considered-oil changes, fuel, parking etc. The unpredictable gas price changes can make your budget unpredictable. When your daily income is in the range of $80 dollars, paying $7 per gallon of gas doesn’t really do justice to your financial plans. Costs for the top rated electric bikes? It is only the power bill for the few watts of battery charging. Some critics will tell you that e-bikes are expensive. Decades ago, electric bikes were going for about $2,000. That’s almost $5,000 today! The point is that these machines have become increasingly affordable over the years. A quick look at GearScoot website shows that most bikes are within the $1000-$1500 price range. Modern bikes come with more features, something that makes the pricing even more attractive. You can take a bike to many occasions-mountain biking, trekking, urban commuting, trail riding and so on. For top rated electric bikes, there is something for everyone. Some models are as sturdy as motorbikes while others have small wheels. Others come with a range capability of 100+ miles. It is upon you to decide what you want in a bike. Focus on features, not the price. Some people have bought cheap e-bikes online only to need to repair the throttle mechanism or something else a few weeks later. If you are a green enthusiast, there is no way you don’t have one of our top rated electric bikes already. The bike doesn’t consume any gas, so it emits minimal carbon dioxide as compared to a car. Transportation Alternatives did a study and found out that if only 10% of the commuters in New York City switched to electric biking one day a week, they could reduce carbon dioxide emissions per year by a whopping 120 million pounds weight. 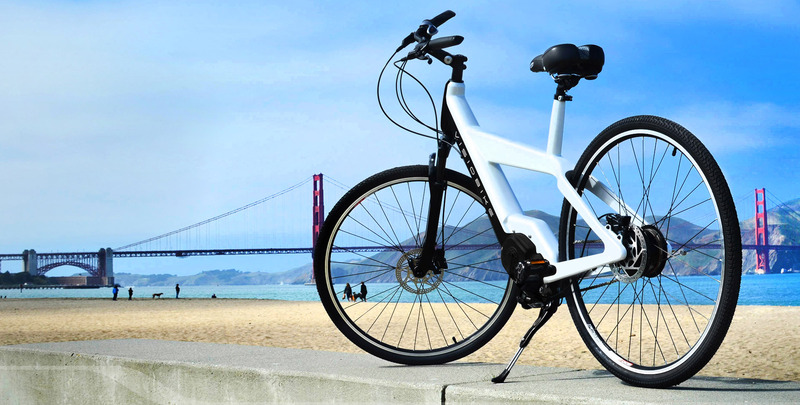 If you are after your safety, savings and all the other advantages cited here, consider checking out the top rated electric bikes. Like for any personal transportation option, getting the right fit is important. Are you ready to buy? We are waiting for your call.